I’m back with my continuing adventures of my first play through of Uncharted 4. 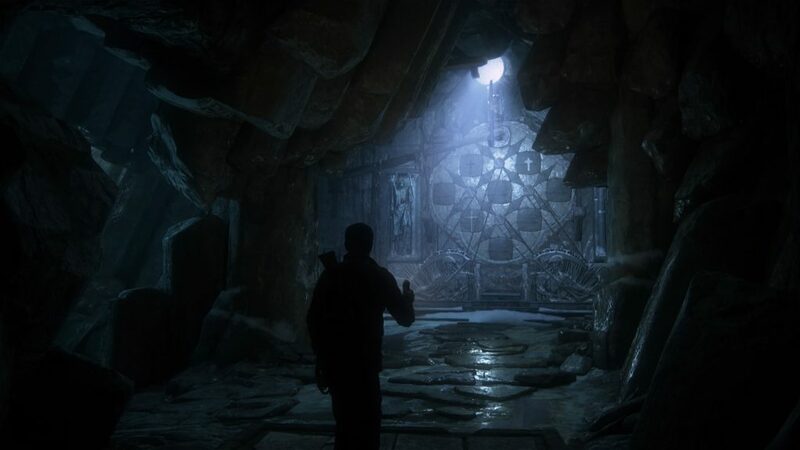 If you remember in Part 8, Nathan and Sam reach the grave they are looking for and are able to go underneath it to eventually find that they have to go into a cave with hopes of finding Avery’s treasure. It was certainly perilous trying to make it to the cave as we came across a lot of gunmen, which led to some firefights, but I was able to kill a lot of them by sneaking upon them thanks to the tall grass in many areas. The next thing was a lot of sliding, jumps, rock climbing, and even some traps followed by some more gunmen. Sam and Nathan finally make it to the cave that they saw from the grave and enter it thus ending Part 8 and beginning Part 9. Now I do want to warn you that the video is quite long. It is actually the longest of my videos so far regarding Uncharted 4 with a running time of an hour and five minutes so if you don’t want to watch the whole thing I can certainly understand. There is a good 19 minutes of it that can be skipped because of some difficulty I have with solving a puzzle. I’ll get to that more in a bit. I start part 9 off by entering the cave and discovering a message that is not written by the pirate Henry Avery, but instead a different pirate which surprises Sam. I also stop to look around at some of the statues that are kind of scary looking. As Nathan and Sam make their way past that part, Nathan quickly sees large drop offs and an old bridge to cross. A small part of it is gone, but I make Nathan jump across it and when he lands the bridge shakes like it is going to fall apart at any moment. I still manage to make my way across the rest of it as does Sam. I climb and head into the next area all the while looking around. After finding my path and making my around, we finally come to another area where Sam and Nathan go through an open doorway and see an interesting contraption of sorts. Unfortunately as Nathan and Sam make their way through, Nathan steps on a stone that sinks into the ground causing the doorway they came in through to close shut. With no way of going back the way they came, they’ve got no choice now but to go forward. Back to the large contraption thing I just mentioned. It’s a large circular type object with three separate circles that can be moved and have different patterns on them, but more importantly, three different crosses. I’m sure you know what this means. Another dreaded puzzle that has to be solved. This is the one that takes me forever to figure out. I mentioned before in some of past Uncharted articles of mine that I’m not always the greatest at solving puzzles like this in the game especially some seemingly easy ones. I still like to try to figure out how to solve them on my own even if it takes me awhile. This puzzle is certainly no exception as I mentioned earlier that it takes me around 19 minutes to solve. It was so long that the game itself had a message pop up saying that I could skip this puzzle if I wanted to. NEVER! I was determined to solve this and I finally did. What I had to do is line up the crosses in the exact right places just like it was during the actual crucifixion of Jesus. The largest cross is the one in the center, but the other two had to be just on the correct sides of the larger cross. Thankfully in the journal it shows you where both of the smaller crosses are supposed to be lined up. It is a pain moving the circular parts to get them to line up correctly. As I said though, you can certainly skip this part and move on as I do eventually solve it. You’ll also see 3 lights shining where the crosses are supposed to line up. Once the crosses do line up, Nathan is able to go over to another door that has a small opening where he has to reach his arm in and pull a lever to open it. Now you’ll notice that there are some spikes sticking out just a little bit. If I didn’t solve that puzzle, you can bet that Nathan would’ve lost his arm or be killed. Once the door opens, we can finally go through and move on to the next section of this pirate cave. This next area involves some rope swinging, jumping, and climbing. Sam and Nathan also have to help each other up to some higher places as well. They both get to an area where Nathan can here Rafe and Nadine talking. It certainly doesn’t sound good and Nadine is losing patience. After listening in on their conversation, we move on and are getting to more dangerous areas that involve a lot of jumps and climbing and even a teeter totter of sorts that leads to my death. Thank goodness for respawns! Once we make our way past that and down some stairs to another door that has to be opened (no puzzle this time! ), we make our way into an incredible new area. In the center of this large new room, there is a large scale with a large golden cross on one side and golden coins on the other side. Sam immediately reaches for the cross, but Nathan says to hold on. Simply removing that cross from that scale could be really bad. After some more discussion, Sam closes his eyes and takes a gold coin off of that scale. Torches start lighting up suddenly against a section of wall and eventually on the ceiling, there is an outline of something that is lit up. They realize that the treasure is not here, but the outline is of another place in the world. It turns out that it is Madagascar. They notice a section of it called Kings Bay that might instead be the location of the treasure. Sam is a little upset wondering why Avery went to all of this trouble just to show another place to go to. Nathan said the place they are in now was setup to recruit pirates, but only those who were worthy. If they could make it past all those areas Nathan and Sam went through, then they were proven worthy indeed. All of a sudden there is an explosion in one of the walls and people come through. It is Nadine and gunmen! Nathan and Sam now have no choice but to throw down their guns and are now at the mercy of Nadine and her henchmen. Or are they? Rafe does not want them shot yet and she notices that the next place is in Kings Bay. Nathan says where in Kings Bay though? The crucifix holds the answer. She tells one of her gunmen to go and get it. Nathan then says it isn’t really a crucifix, but rather something….but then he suddenly says nevermind and both he and Sam start backing up slowly. Nadine finds this suspicious and then suddenly her eyes go wide and she yells for the gunman not to pick up the crucifix. Too late! He already begins picking it up and then the floor starts to shake and start collapsing. Things start to get really crazy here. Nadine jumps and grabs the edge instead of falling and then the gunmen start shooting at Nathan and Sam. I have to take cover, but can’t do it for long as the whole place is collapsing! I’m jumping, dodging, and falling a little bit. Things continue to get more intense and more gunmen arrive prompting fighting and shootouts. Now I won’t go into much more detail here, but suffice it to say that Sam and Nathan make it out of there, having to go through a lot more gunmen and eventually out into the water and into the plane that Sully was waiting for us in. I can tell you that the fights with those gunmen were intense! This is where they tell Sully that they now have to go to Madagascar. Sully asks where in Kings Bay as it is a big place. Nathan takes the gold coin that Sam took and says to look at it. He flips it over and there is an image of a volcano on it. Sully says there is a volcano in Kings Bay. They all agree that is their next destination. 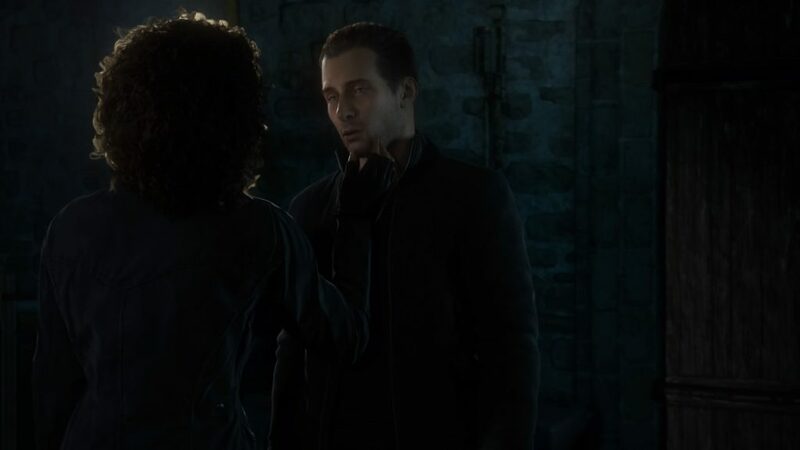 In the next cutscene, you see that Nathan is calling his wife to tell her that they are gonna be a bit longer than expected. She says that she can fly out there, but he insists that there really is no need to. I have a funny feeling this is all going to lead to something bad later on in the game. This concludes Uncharted 4 Part 9! Hopefully you enjoyed reading that as well as watching the video or at least parts of it. You’ll definitely want to check back for part 10 as we explore Madagascar and head towards a volcano. As always, feel free to post comments! Hi there Benedetto! Yeah this particular part just took such a long time! Puzzle solving is not my strong suit in games like this. Glad you like the site and definitely come back!